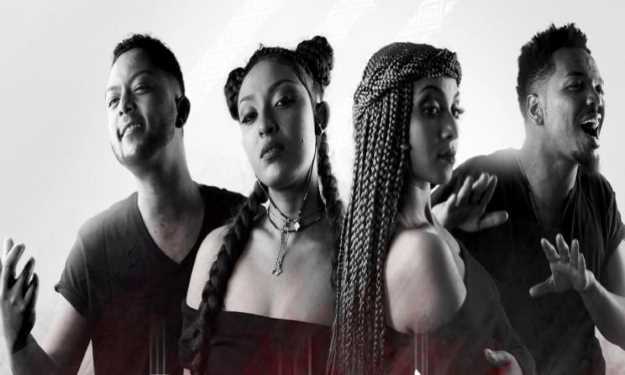 Jano Band became the first Ethiopian band to feature on Coke Studio Africa last year when they collaborated with South African singer Shekhinah in Nairobi, Kenya. Jano band launched their second album on 1 February. The band – which consists of two female vocalists, two male lead vocalists and six musicians who play bass guitar, rhythm guitar, lead guitar, keyboards and a drum – was brought together by its former manager Addis Gessesse in 2011. Since the release of Ertale in 2012, the group has collaborated and worked with the industries finest including American producer Bill Laswell who helped the group sparkle in the international arena. In September last year, news broke that the band was on the verge of a break up. The band disputed the reports through its current manager Sammy Tefera who went on and announced that the band would be launching its second album early this year. Music In Africa caught up with one of the band’s lead vocalists Dibekulu Tafesse to talk about their 16 track album released on 1 February. MUSIC IN AFRICA: What was the inspiration behind the album title Lerasih New? DIBEKULU TAFESSE: We named the album Lerasih New because it is a commonly used word which translates to "For Yourself". Our songs carry different themes that our fans relate to and in this album, we choose to urge our fans to be conscious of their actions. As human beings we ocassionally do things without thinking about the consequences. So in this album we are pushing for self awareness because no one should intentionally hurt themselves or ruin their lives simply because they made the wrong choice. Was the album produced in Ethiopia? The assembling of the music which is normally the first stage of recording was done in Ethiopia but the engineering process was done in Italy at the BluMusica Studio in Turin and the final mastering done at Lurseen Mastering Studio in Los Angeles, Califonia. Working with good recording studios and producers has set as apart from other Ethiopian artists since the music that we produce is of high quality. On this project we worked with producer Kistet. How was the experience working on this album as compared to the first? There are notable things that I could point out. First, when we were recording our first album, we had just started exploring Ethio-rock which meant that we had not fully explored all aspects of it. But with the new album, we were more confident and could comfortably play around with the style. Secondly, the first album was done in a rush from song writing to melody creation but with the new album we took time to write songs, consult with our mentors and also explore and incoperate more traditional instruments such as the Masengo and the Kirar to further define our sound. When you first started exploring Ethio-rock the public was not receptive. Do you think they are now? We have great respect from our fans and we’ve worked hard to make this album even better. As pioneers of Ethio-rock, people were not very receptive of our music since they were accustomed to the traditional Ethiopian sound. However, once they understood the music they loved it. In fact, a recent survey conducted by our management showed that our fans prefer watching us live as compared to buying CDs. So yes our fan base has been growing over the years. Now that the album is released how do you plan to market it? The album was released on 1 February and since then we have printed over 60 000 copies. We hope to have printed more than 100 000 by the end of the week. We are also planning a concert to officially perform a compilation of the album to the public which will be followed by a series of tours as advised by our manager and promoter.